Join us for our February 23 Adoption Event: PET SUPPLIES PLUS at 61st and Memorial from 11 a.m. to 3 p.m. (8221 E 61st St A, Tulsa, OK 74133). 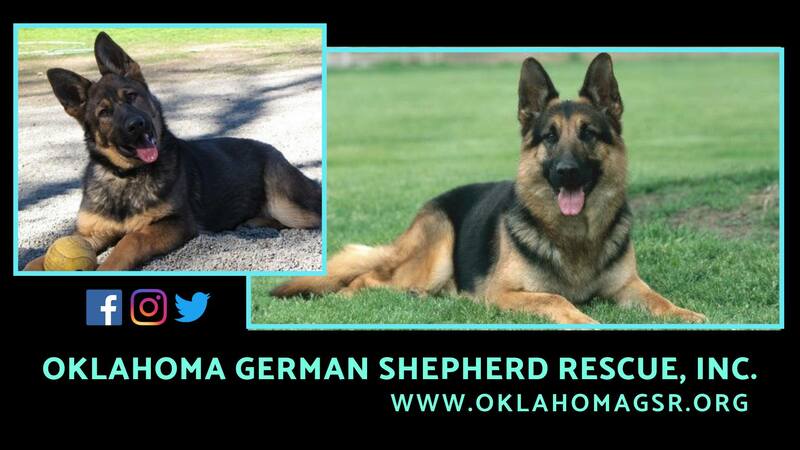 Oklahoma German Shepherd Rescue, Inc is an all volunteer non-profit organization committed to rescuing German Shepherd dogs and placing them in qualified loving homes. If you are interested in adopting, please complete an adoption application at www.oklahomagsr.org.